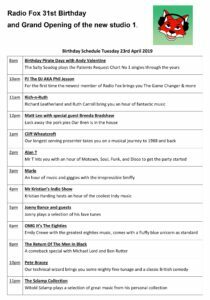 18 April 2019 – It’s our birthday so stand by for the official opening of the brand new Studio 1 facility at Radio Fox. As Radio Fox celebrates its 31st birthday the celebrities arrive on the red carpet to declare our shiny new studio 1 officially open. 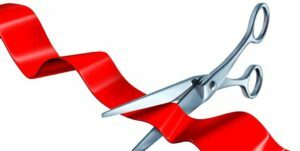 After years of fundraising, even more years of design and construction the new studio will have its ribbon officially cut on Tuesday 23rd April 2019. 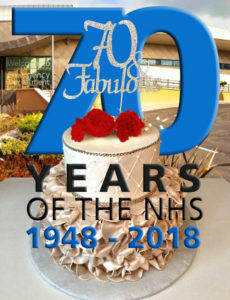 Yes there will be cake, yes there will be Champagne and Prosecco and much celebrating including a day of live broadcasting. New members and old favourites will all be ‘doing a turn’ on the decks during the day. The full days schedule is shown below. It couldn’t have been done without the many individuals and businesses of Leicestershire who gave their support including The Elms Social Club in Wigston, Caterpillar (UK), Pall-Ex, Asda, Next, Barratt Homes – North Midlands Division, Cambridge & Counties Bank, Taylor Bloxham, Squire Alarms Ltd, Ibstock Brick Ltd, Police Mutual, Leicestershire & Rutland Freemasons, Pukka Pies Ltd, HSBC Bank, and Ashfield Healthcare. Thank you every one and thank you also to the Radio Fox fundraisers. 14 March 2019 – Beginning on Saturday 13th April a brand new free exhibition opens at Leicester’s New Walk Museum. Mods: Shaping a Generation explores the sub culture’s impact on society. 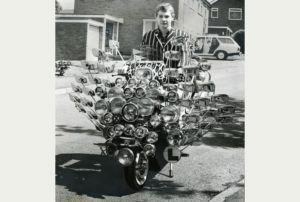 Mods: Shaping a Generation tells the story of the 1960’s Mod scene in Leicester and Nottingham, the exhibition focuses on the themes of social, financial and creative freedom via exclusive first-hand eye witness accounts and unpublished images. Ahead of the Saturday 13th opening Radio Fox resident Mods Jonny Bance and Cliff Wheatcroft host a 2 hour show on Saturday 6th April from 10am. Jonny and Cliff will be spinning sounds from the era and interviewing Shaun Knapp, author and exhibition curator & designer, Joe Nixon co-founder of Arch Creative and musician Kenny Wilson who was a Leicester Mod at the time. Plus on Wednesday 3rd April at 8pm Radio Fox cool faces Alan T and Paul Knight host 2 hours of the most excellent Mod tuneage from the sub culture. Levi Sta-Prest trousers, Ben Sherman or Brutus shirts, Brogues, and Harrington jackets are definitely not optional. 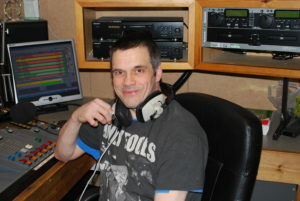 On Sunday 14th April Andy Valentine presents a Pirate Dayz Mod Special. Tune in to Radio Fox at 8am to hear some of the finest Mod music. Both Radio Fox shows can be listened to live by clicking here on the day or you can Listen Again by going to our catch-up listening service after the shows have aired. The New Walk Museum exhibition also celebrates the 40th anniversary of the release of The Who’s cult Mod film, Quadrophenia, and will include a screening of the film, Q&A sessions, plus ephemera and original 1960s clothing as seen in the film. The exhibition also re-visits legendary hang-outs visited by the Leicester and Nottingham Mods including The Nite Owl, The Il Rondo and the Dungeon. 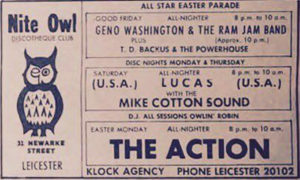 Plus a look at the local Mod bands of the time. 12 September 2018 – The computers are working, the CD players are working, the kettle is working, but for some reason this Friday 14th September 6-2-8 Show vinylmeister Michael Lord will be doing an all vinyl show. On Friday evening 14th September the unthinkable will happen on Radio Fox… a whole two hours of specially selected vinyl will be showcased on the 6-2-8 Show between 6pm and 8pm show with your host Michael Lord. It can’t be done they said…. tune in to see if they were right!! Tune in right now to Listen Live to Radio Fox by clicking here. If you are under 30 years old you may have no idea what all this vinyl stuff is, if so click here to see what all the fuss is about. Turn the volume up and don’t be afraid of the crackle. 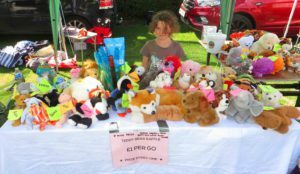 25 August 2018 – Next Saturday 1st September will be the Syston Carnival. As always Radio Fox will be there providing the music, making the announcements, and handing out Radio Fox Magazines and generally spreading love and happiness to all. 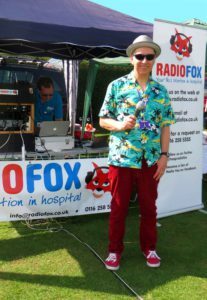 If you would like to hire our PA Service for your next event please contact Scott Mclaren on scott.mclaren@radiofox.co.uk to discuss your booking. 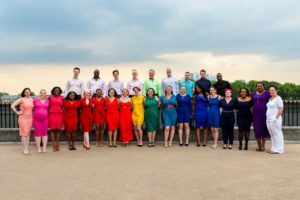 11 August 2018 – Starting Wednesday 15th August at 8pm a fabulous new show begins on Radio Fox. Get ready for action when Alan T and Kirstie Peacock (the Radio Fox Girl Wonder in the making) take over the Wednesday evening edition of the Patients Request Show. Click Listen Live to listen to Radio Fox 24 hours a day for free.